So before I started looking for quotes about typography from specific designers I thought I’d look for what it is actually defined as. I found this ‘Typography is, quite simply, the art and technique of arranging type. It’s central to the work and skills of a designer and is about much more than making the words legible.’ From here and I think it explains it quite well, and there was also some interesting information about choosing a font and what designers have to take into account when choosing like size and leading as an example. 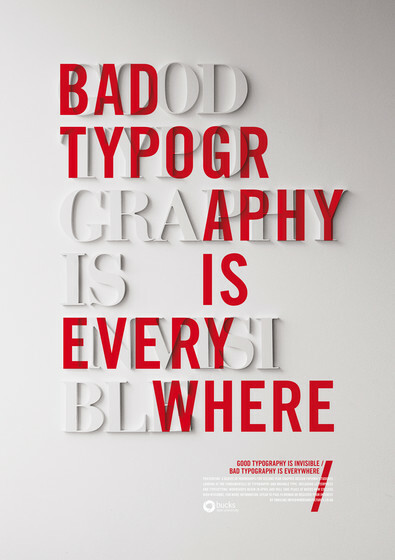 And the quote is ‘Good typography is invisible, bad typography is everywhere’ which I think is a really interesting quote. And my own personal interpretation on this is that it means if good typography is used it goes unnoticed because it just fits so well with what its with and you can’t imagine any other typography used other then that so you don’t think about it. And bad typography is everywhere because it’s only noticed because it doesn’t fit with whats it with and this makes you think about it and think about what would look better.